Sarweeth Rehman. Picture by West Midlands Police. Hussun Ashraf. Picture by West Midlands Police. Adal Azam. Picture by West Midlands Police. A VIOLENT carjacking gang who battered motorists with golf clubs, baseball bats and metal bars have had their jail terms doubled. Sarweeth Rehman, Hussun Ashraf and Adal Azam, all 22, caused terror across Solihull and carried out a string of thefts. Following the court case in October at Birmingham Crown Court the the Solicitor General, Robert Buckland QC MP, referred their case to the Court of Appeal. In October Rehman, of Hartopp Road, Alum Rock, was sentenced to five years and nine months in prison, Ashraf to six years and four months in prison, and Azam of Watson Road, to three years and 10 months in prison. The Court of Appeal has increased Rehman’s sentence to 10 years in prison plus activation of two suspended sentences amounting to 34 weeks imprisonment to be served consecutively. Ashraf’s to 11 and a half years in prison plus activation of one suspended sentence of 16 weeks imprisonment to be served consecutively, and Azam’s to six years in prison. Speaking after the hearing, the Solicitor General said: “These men carried out a series of violent attacks, striking when the victims were alone and then making off with their cars. 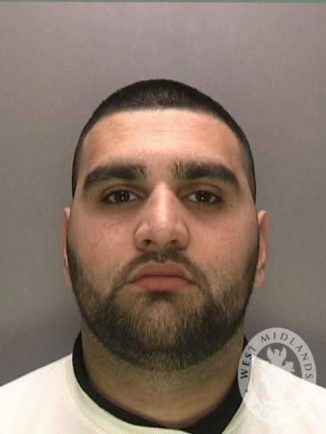 Their violent robbery spree began on August 24 last year when Rehman threatened a BMW M4 driver for his keys in Shirley’s Baxters Green. The driver fled, hurling his keys into a garden as he ran, before rage-filled Rehman set about smashing up the M4 and causing damage estimated at £10,000. Later that day they stole a VW Golf Type R after dragging the woman driver from behind the wheel in Hathaway Road, Shirley, and struck again in September when they robbed a man of his Audi RS6 in Moseley. 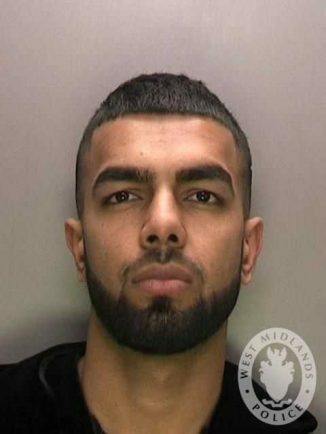 West Midlands Police tracked the RS6 less than an hour later to Harborne – and during a search of the car found an iPhone dropped by Ashraf. His Stuarts Road home in Stechford was raided by police and another phone found hidden in a wardrobe was forensically shown to have been used at the scene of three more car-jackings. It linked him to a robbery in Bracebridge Close, Balsall Common, when a Mercedes was taken from a woman as she pulled onto her driveway, plus another in Damson Lane, Solihull, when a man handed over keys to his BMW M135 having been approached by two men armed with a knife and golf club. The third robbery saw a man drive off in a woman’s BMW M135 from a pub car park in Sutton Coldfield.